Mobile Aided Product Support is not just about customer incidents or sales campaigns, but to ensure customer needs are easily addressed 24X7 self service on any channels. With the Internet of Things on a full swing, the number of mobile devices is taking over the total human population. The revolution in the Internet Technology makes the data on mobile affordable to everyone which is further accelerated by Social Media platforms. It is very important for sustained growth of any organization to have a noticeable presence in this space for retaining customers and adding new customers. Rather than developing the tailor made solutions which may not deliver the expected solution, it is worth acquiring a ready build product with international exposure and tweek the same for speedy implementation thereby saving opportunity costs and early venturing into new space. Needs of Retail Customers are different from Corporate Customers and you require a solution that will address the needs of these clients, in addition to building a sustainable platform for branding, customer sentiment gathering, sales augmentation with a prime focus on Customer Service. 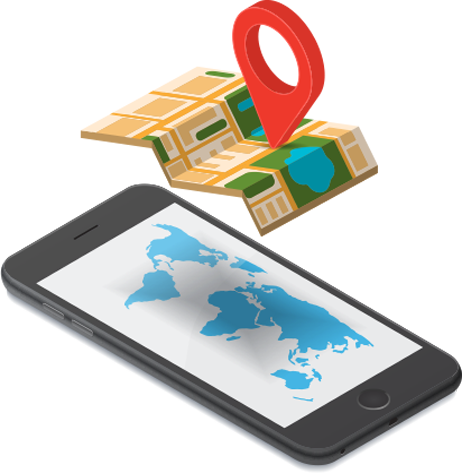 With the technology advancement, many activities are performed with ease on mobile devices rather than websites and we constructed "MyProduct" based on the above facts and concepts. The Unique Hybrid Mobile Application with all the features and functions of Native Mobile Applications, helps enterprise companies in keeping their customers happy with parallel branding, sales augmentation and customer sentiment tracking. MyProduct substantially reduces the Operation Cost with its "self service" approach. MyProduct is a new Platform for all your future expansions on the Mobile Front which can be easily customized for any changes or additional functionalities quickly. MyProduct has a well established Admin Portal using which we can seamlessly integrate the application with ERP, CRM and other mission critical software running with the Company for two & fro data sharing using secured APIs. MyProduct Admin Portal has a number of functionalities for managing the operational requirements of the customers, publishing Banners, Offers, Push Notifications, WhatsAPP posting, Social Media Posting etc. Myproduct being a Hybrid mobile with all native features and developer using a blend of technologies can be deployed immediately and is customizable within the shortest time span. You can GoLive on all platforms on day 1 and reduces the Maintenance cost and future change costs deeply.